I created this New Moon Spirit Animal Set: Elephant to celebrate the new moon by invoking the wisdom, ancestral healing, strength, and perseverance of the Elephant. Elephants are our mortal guides for unlocking the past. They guide us back to the light where esoteric knowledge is abundant and ready for us to receive with an open heart. Elephants are larger than life, but they have a gentle way of taking the lead with just their stature. On January 5, the New Moon will be in Capricorn, the earthy sign of leadership, responsibility, accomplishment, and all things tried and true. 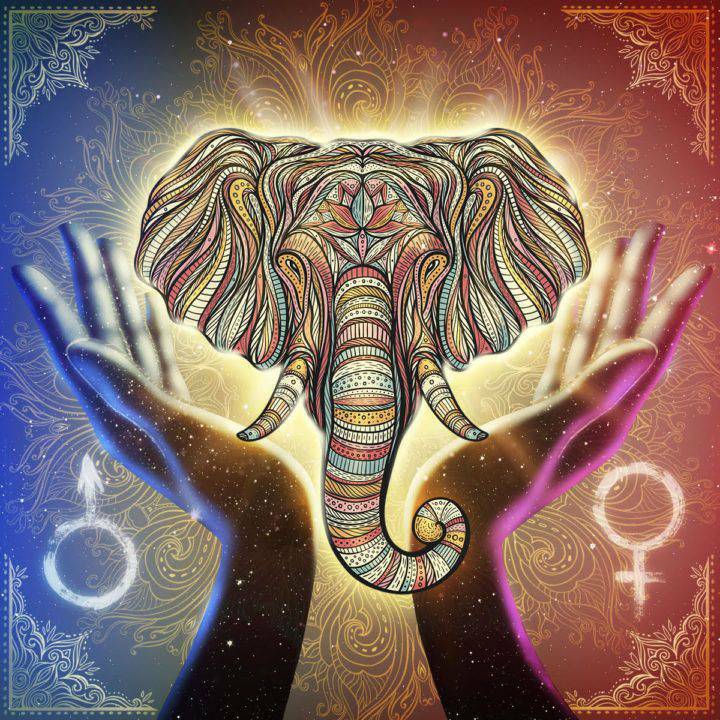 Elephant Medicine is a beautiful match for this feminine sign – yes, Capricorn’s quality is feminine and it’s about time we start looking at this sign beyond the layers of conventional “ambition” and “success”. Just like the Elephant, Capricorn embodies the wisdom of elders and the land itself. It carries the traditions of our heritage and has its place at the head of the table. Imagine your great-great-great grandmother and what she might say to you right now if she could make herself heard. And imagine how you might be different, having learned what the generations before you went through… to pave the way for you. When Elephant presents itself, you may be wondering if you are strong enough or questioning your familial support and connection. Elephant is here to remind you that you are tough and enduring. You have the power of generations within you. It’s up to you to carve your path, but you don’t have to lay the stone. Your ancestors laid the foundation years ago and from that material, every descendant is empowered to create her own way. 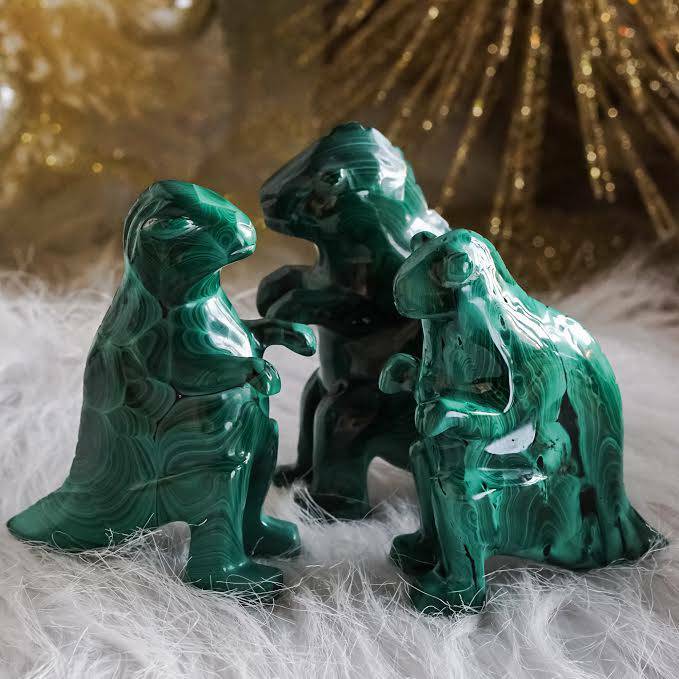 Use this set to call in the spirit and fortitude of the Elephant, pay homage to your ancestors for all they’ve given you, and reconnect with your authentic truest self. Join me in January for our free online New Moon Ceremony to set new intentions for ourselves and the planet. Check our Facebook Event Page – details coming soon! 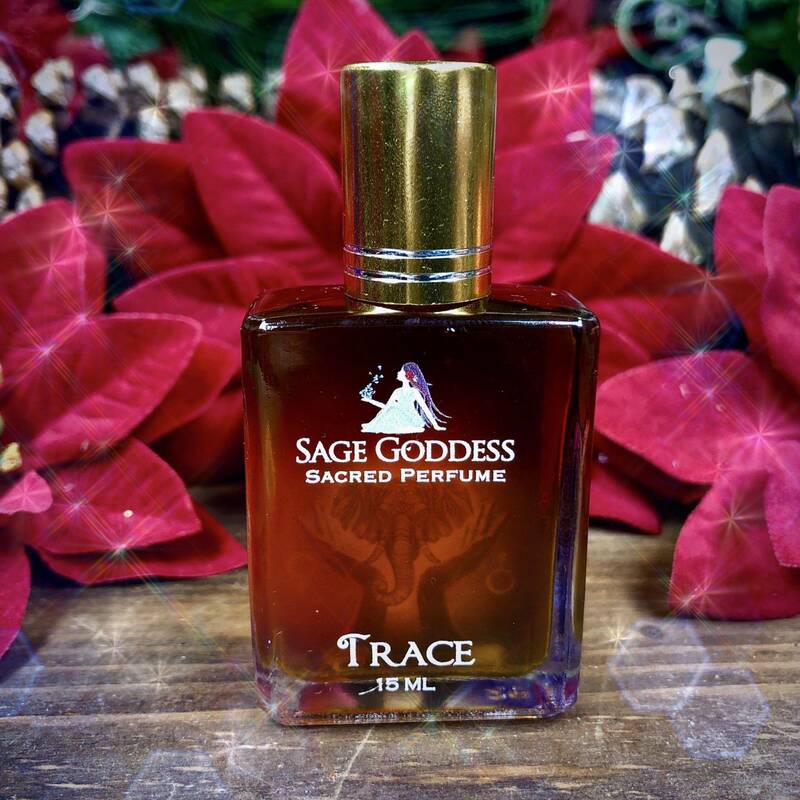 First, you will receive one (1) 15 ml bottle of my Trace Perfume. 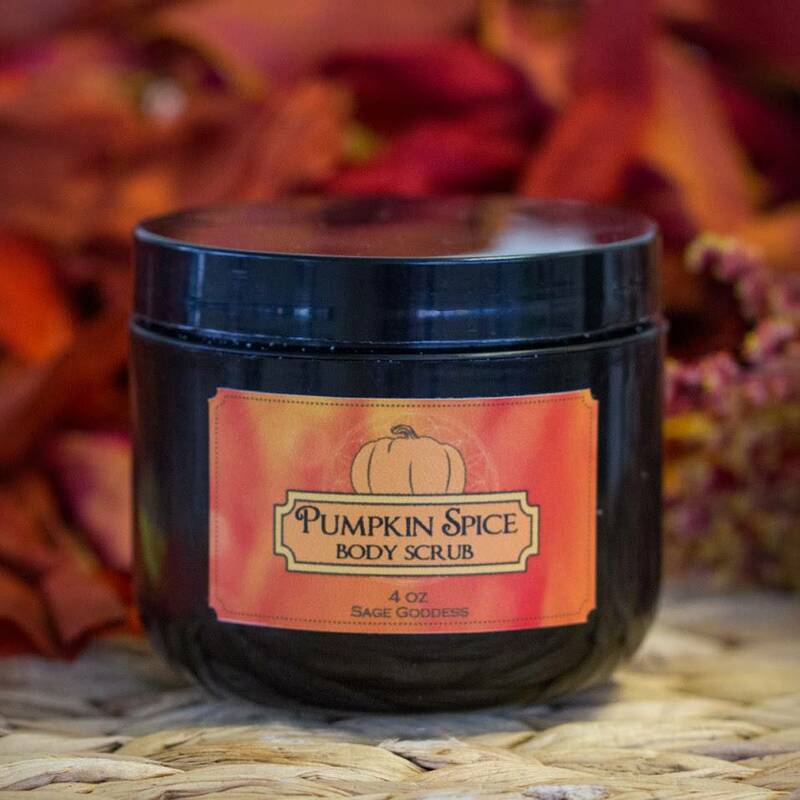 This blend of rose, sandalwood, and ginger is a sophisticated fragrance with a sacred and timeless vibration. 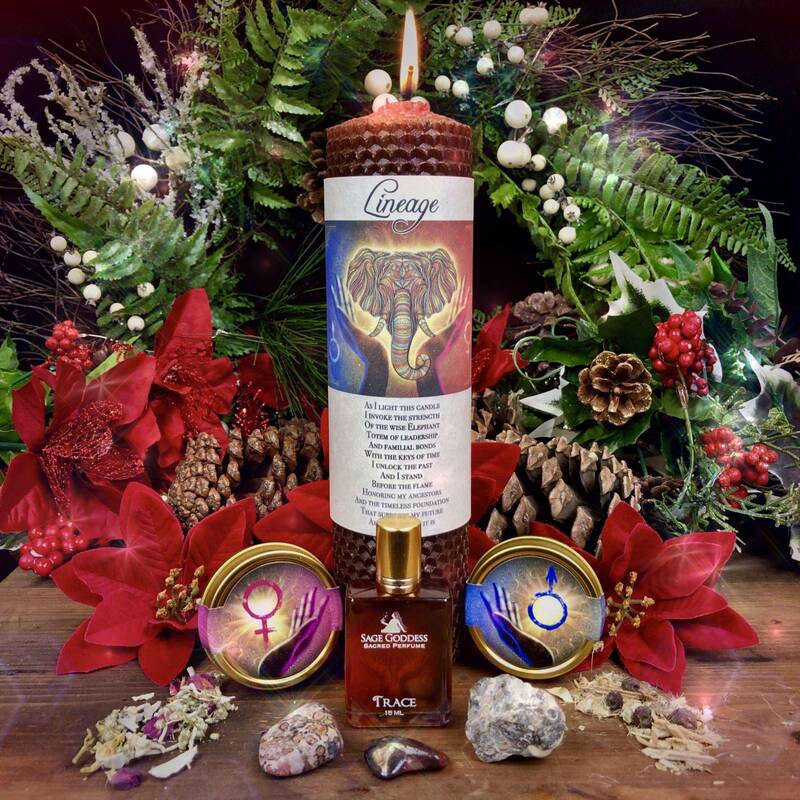 Anoint yourself with Trace to connect with the memories and wisdom of the ages and your own authentic self. 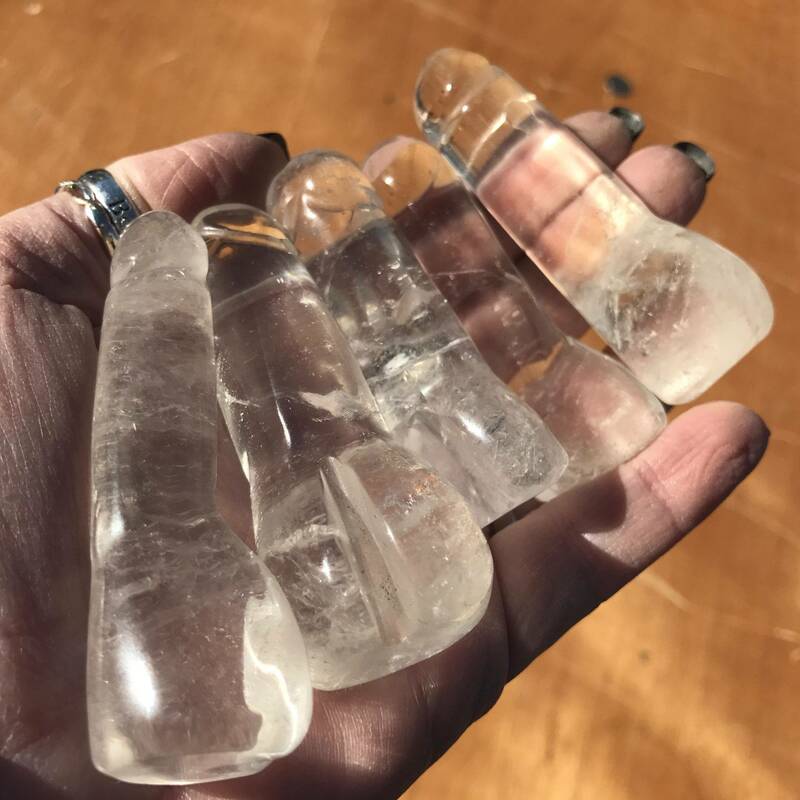 Each bottle comes infused with rose quartz and tiger’s eye chip stones for extra love, heart connection, and guidance. Next in this set is one (1) Lineage Candle (about 8” tall), hand-rolled with sheets of beeswax and anointed with my Trace Perfume and rose quartz and tiger’s eye chip stones. 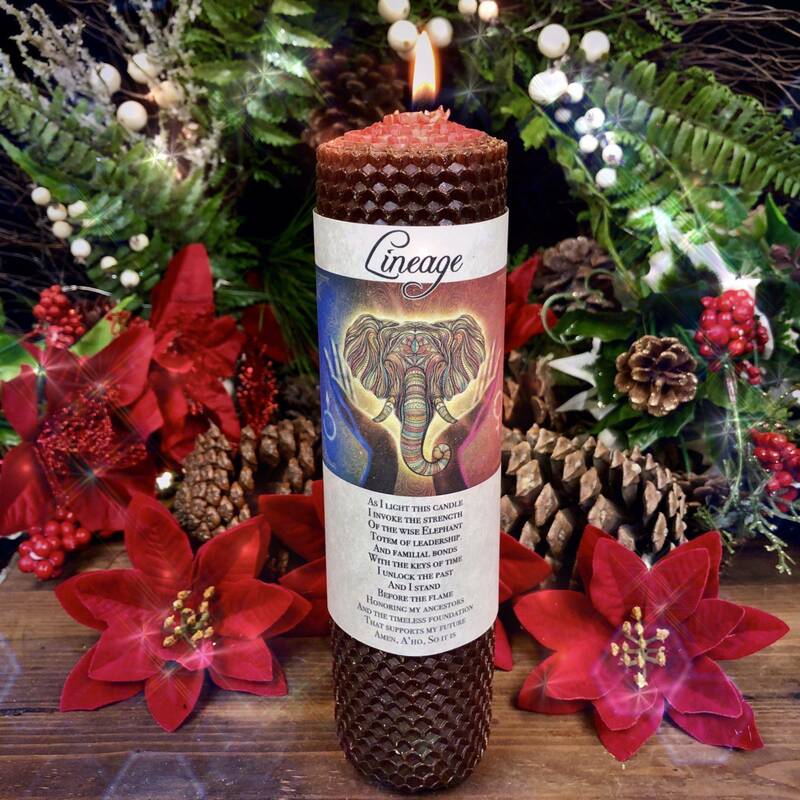 Lineage Candles are wrapped with original SG artwork, with a blessing to harness the energies of the Elephant Spirit. Use your candle to connect with your ancestors, honoring the roots of your past as you build your future. As you gaze at the flame, know that the soul work you do in this life heals generations before and generations to come. Two (2) 1 oz bags of Ancestral Lineage Incense. One to heal the feminine side of your ancestral lineage and one to heal the masculine lineage of your family. 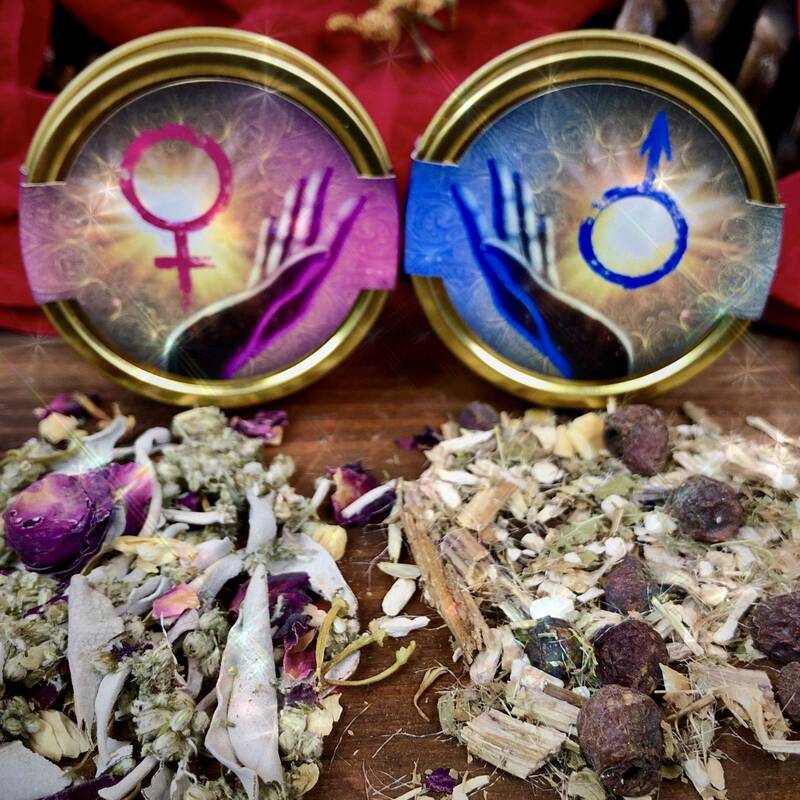 You can combine these blends to make your own ratio of feminine/masculine or use them on their own. The masculine blend, made of masculine herbs, contains lemongrass, ashwagandha, hawthorn berry, juniper berry, sandalwood, and blessed thistle. The feminine blend, made of feminine herbs, contains rosebuds, mugwort, jasmine, white sage, and hibiscus. One (1) stromatolite (about 0.5-0.75”). With stromatolite, you receive wisdom from the oldest fossil on Earth. This stone is billions of years old, containing the energy of the ancient, primordial world – the world before most of the plant, animal, and human life we know today existed. Stromatolite summons the energies of acceptance, helping you to understand life lessons, and live your life with an open mind and heart, allowing new possibilities to emerge. One (1) leopardskin jasper (about 1”). Leopardskin jasper is sacred to Native Americans, who consider it their stone ally in ceremonial work. It connects you with your animal spirit totems and can be used in shamanic journeying. 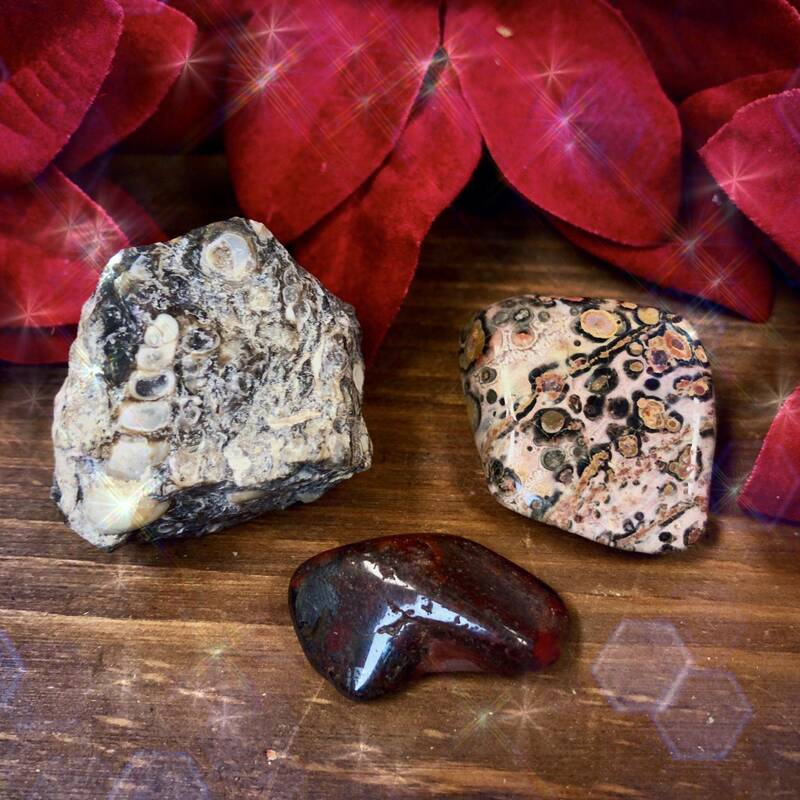 Leopardskin jasper also helps you manage and navigate change, adapting to your circumstances and maintaining your energetic equilibrium. One (1) natural turritella agate (about 1”). Turritella agate is a stone of connection to the past – past wisdom, past glory, past knowledge, past adventure. This gem will open up a channel between you and your ancestors and instill a wonderful sense of safety and belonging. It will remind you that you are being protected by your spirit guides, held by Mother Earth, and led on a powerful journey of healing. This listing is for one (1) New Moon Spirit Animal Set: Elephant as described above. Yours will arrive lovingly parceled along with a single leaf of white sage and a parchment containing descriptions of the stones. Note: Please remove the label from your candle before burning, always use a heatproof dish on a stable surface, and never leave a burning candle unattended. The perfume in this set is made with natural essential oils and absolutes and may contain fragrance oils. Cap color, chip stone, and color may vary slightly. For external use only.